We didn't know what it was at the time. I was rushing off to dinner and he had to get back home (to do homework! 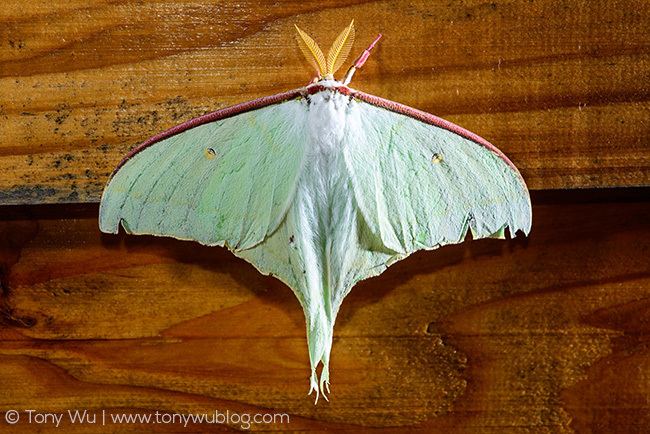 ), so we didn't have time to figure out an ID. 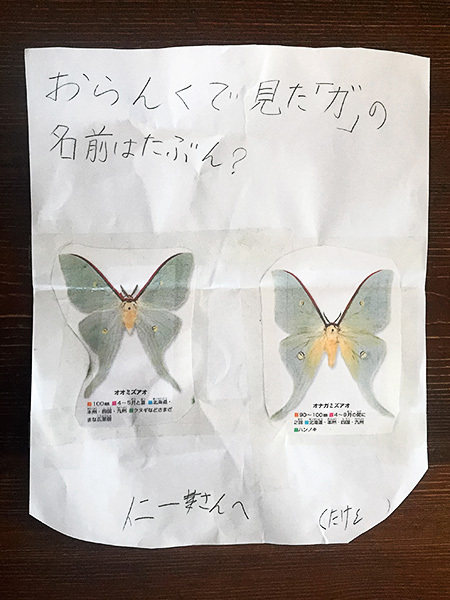 Roughly translated, the text says: "The name of the moth we saw is probably one of these two. To Tony, from Taketo." The one on the left turned out to be the correct ID. It is so totally cool that he took the initiative to dig through books to look for an ID, and then went to the trouble of photocopying probable matches and writing this note for me. Even better, it's a reminder that curiosity and a desire to learn are traits we should cultivate and never lose. 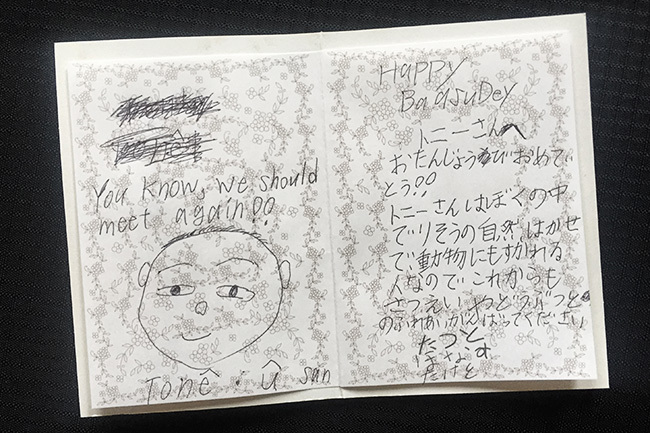 While I'm sharing drawings from young friends, here's one that Taketo and his younger siblings, Tatsuto and Honami, gave me on my birthday. It's a birthday card, one of the best I've ever received. The only question I had for them was: "Who's the guy with so little hair?"